DearShrink.com is an online mental health information and counseling center hosted by Ron Sterling, M.D. Dr. Sterling is a General Psychiatrist who is also specialized in the diagnosis and treatment of Adult Attention Deficit Hyperactivity Disorder. He is also very experienced with psychotherapy and relationship and family counseling. The mission of DearShrink is to provide you with easily-accessible, authoritative information and assistance from an award-winning psychiatrist and writer. A Brief Introduction to DearShrink.com. DearShrink has been called the "Dear Abby" of Internet psychiatry. This site is filled with mental health care information, answers to questions, and rapid ways for obtaining services from Dr. Sterling in person at his Bellevue office, or by phone, or by e-mail. We invite you to take a quick tour of DearShrink by clicking on the buttons to your left to view items available in each subject area. This page contains a summary of what can be found at DearShrink. The main Advice destination at DearShrink is PsychAnswers.net, where Dr. Sterling provides links to his award-winning articles on mental health and social commentary. Most of Dr. Sterling's articles are responses to reader questions. Our Mental Wellness Web site contains articles, information, and resources for understanding the factors in mental wellness -- self-appreciation, resilience, affiliation, negotiation, curiosity, exercise and leisure activities. To find the very latest changes and additions to DearShrink, go to our What's New page. To get an index of pages at DearShrink, please go to our Site Index. Click on the Services button to get more details about Dr. Sterling's services or call him at 206-784-7842. You will often reach him directly. We all have personal puzzles to solve and discoveries to be made. Sometimes, our emotional and behavioral issues can be very difficult to sort out. Occasionally, we are simply overwhelmed with problems we have created for ourselves or circumstances related to loved ones. Frequently, we just need some help to put the pieces back together after a stressful experience. Often, we wish to take the next step in our personal development and gain a deeper understanding of others and ourselves. Dr. Sterling's 39-plus years of psychiatric knowledge allows him to offer you a wealth of skill, maturity and understanding while providing a supportive environment in which you can identify the pieces of your personal puzzles, figure out what to do with them, and move further toward the life that you desire. Whether your life contains troublesome, unfinished, psychological business or you have taken care of just about everything, Dr. Sterling can provide you with the opportunity to give yourself or your loved ones the gift of continued personal growth. To read more about Dr. Sterling, please go to his Biography Page. Dr. Sterling is a strong believer in life-long learning and inner-life development. This Web site and his focus on "always getting better" are manifestations of his own commitment to taking the next step in personal growth. The mission of DearShrink.com was to not only furnish visitors, potential clients, and clients with information about Dr. Sterling and his private practice of psychiatry, but to also provide a Web site experience which is highly educational and which will assist in reducing the stigma attached to many aspects of the mental health treatment environment. However, since 2009, Dr. Sterling's mission has been to intensely focus on reading primary research literature and becoming comprehensively informed on the huge amount of knowledge that has been gained about the downside and upside of the attention deficit disorder brain since 2008. He has read in excess of 20,000 pages of primary literature since 2009 and published two editions of his book Adult ADD Factbook -- The Truth About Adult Attention Deficit Disorder Updated 2011 and 2013. They are available on Amazon.com. The scope of Dr. Sterling's reading and writing has made it impossible to continue the former mission of DearShrink.com, which was to provide readers with a broader collection of and links to mental health and wellness information. The many outdated pages still contain original writing by Dr. Sterling that has stood the test of recent time. However, over the next few months, Dr. Sterling will be dismantling and remodeling most of the DearShrink.com website. Please go to Dr. Sterling's Conflicts of Interest Disclosure Statement for more information about Dr. Sterling's potential biases. Dr. Sterling's Adult ADD Factbook is Out! Dr. Sterling has excerpted his very comprehensive Understanding ADD chapter from his forthcoming book The Culture Genes -- Why America's Greatest Strength is Also its Greatest Weakness (tm). It was first available in 2011 as a 256-page paperback and it was upated in 2013. The 2011 edition is also available on Kindle. There are free downloads of software for PC and Mac use. Click here to find the paperback edition of Dr. Sterling's book: Adult ADD Factbook -- The Truth About Adult Attention Deficit Disorder Updated November 2011 (tm). Click here to go to the Kindle page for Dr. Sterling's book: Adult ADD Factbook -- The Truth About Adult Attention Deficit Disorder Updated November 2011 (tm). Click here to find free downloads of Kindle application software for PC and Mac. The book's strength is in its ability to arrive at a balance between scientific truth (which requires some technical and scientific language) and user-friendliness. It uses language and concepts that are easy to understand and remember, without dumbing down the very important scientific findings about the upside and the downside of the ADD brain. The Adult ADD Factbook will help you understand how the current narrow definition and the stigma related to ADD clearly subvert a true estimate of the prevalence of ADD and of many other dopamine deficiency conditions in the entire Western Hemisphere. ADD is the current poster child for a large number of dopamine deficiency conditions that are significantly responsible for "nicotinism," alcoholism, obesity, many eating disorders, insomnia, fibromyalgia, and the over-use of marijuana, cocaine, illicit methamphetamine, and opioids, among many others (gambling, over-spending, impulse-control problems of all kinds, etc.). The Adult ADD Factbook will also allow you to learn about the genetics of ADD, the upside of ADD, and some of the cultural and social implications of the many dopamine deficiency conditions. It has been called "a game changer." It was written as much for non-ADDers as for ADDers. In-Person Services -- Dr. Sterling is accepting new clients and scheduling appointments at his Bellevue Office. Appointments are available on Fridays, Saturdays, Sundays, and Mondays from 10 a.m. to 6 p.m. Dr. Sterling understands that weekend appointments can be very convenient for clients working weekdays or who live in more distant communities. However, please note the "Travel Advisory" further below on this page regarding Weekend 520 Bridge Closures. Give Dr. Sterling a call at 206-784-7842. He will be happy to answer your questions and speak with you about your concerns. Dr. Sterling is the only person who answers his phone or listens to voice messages. To read more about Dr. Sterling's uncompromised confidential, thoughtful, directly accessible and personalized counseling services, please go to his office Web site at BellevuePsychiatry.com. Telephone Appointments can be scheduled at selected times any time of the week. Please go to our Online Counseling page to learn more. E-Mail Counseling: If the E-mail Order pages are available, you can order e-mail mental health care information and counseling seven days a week. Please go to our Online Counseling page to learn more about E-Mail Counseling. Travel Advisory! I-520 is Occasionally Closed on Weekends (Use I-90). Please check the 520 bridge closure web page before departing for a weekend appointment at Dr. Sterling's office, especially if you are traveling from Seattle to Bellevue. New Web Site -- All About Attention Deficit Hyperactivity Disorder. Dr. Sterling has established a new Web site about adult attention deficit disorder. You may think the diagnosis is a "fad," but it is not. Despite all the advertising, which could be interpreted as "pushing" a product, adult attention deficit disorder has historically been underdiagnosed. The reason? Professionals, for some time, did not have enough evidence to make a conclusion about whether children grew out of their symptoms or not. Now, we know they may grow out of some of their symptoms but still struggle with, among other things, distractibility, follow-through, impulsiveness, poor judgment, irritability, and low frustration tolerance. Please visit Adult Attention Deficit Disorder to get more information. Humor and a Sense of Perspective. Significant doses of humor can be found at DearShrink.com, since we believe that viewing life's roller-coaster ride with a sense of perspective is a healthy thing. To provide additional resources for those seeking a balanced view, DearShrink.com provides Web columns about the word "shrink", about Freud (and others), and pages devoted to reflections on life, consisting of poetry, essays, and photographs. Even though humor appears to be good for the central nervous system and general physical health, DearShrink.com also believes, if you are not careful, that humor can be a distraction and an opiate of the masses. We have our serious, mental health activist side. 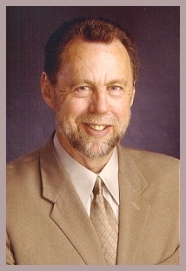 Dr. Sterling was Chair of the King County Mental Health Advisory Board (KCMHAB) from 2004-2006. He is a strong advocate for better mental health care in the Washington State and is a member and contributes to Seattle-area chapters of the National Alliance on Mental Illness. At our Support Resources page, you will find links to in-person and online support resources. In times of trouble and when we feel very alone, all the support we can get can make a big difference in our lives. Please Read Our Terms and Conditions of Use Agreement. We encourage you to thoroughly read our Terms and Conditions of Use Agreement. It spells out our mutual responsibilities and the very legal limitations of an information Web site such as DearShrink.com. If you continue to visit and use the resources of DearShrink.com, we invite you to check the update date at the top of the Terms and Conditions of Use Agreement page about every 30 days. If it has been updated since you last read it, we encourage you to read it again. Copyright 2000-2016. Ron Sterling, M.D.